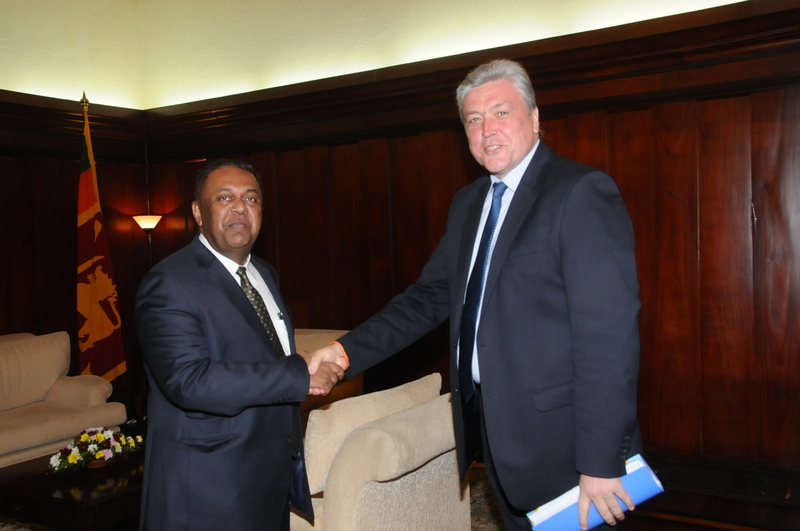 Minister of Foreign Affairs Mangala Samaraweera met Ukranian Ambassador Oleksandr Shevchenko, who is based in New Delhi, at the Foreign Ministry in Colombo. The meeting was held in the late evening yesterday. During the meeting they discussed the possibility of Sri Lanka sending an investigation team to the Ukraine in early May to inquire into allegations levelled against the former Ambassador Udayanga Weeratunga, says the Minister of Foreign Affairs. Weeratunga, first cousin of the former President Mahinda Rajapaksa, had allegedly involved in arms sales to separatist rebel fighters in Ukraine.